Whether you’re scheduling an appointment, settling into the treatment chair, or have a question about your payment options, our team is here to make sure your experience with us is as smooth and stress-free as possible. Every member of our team was chosen based on their advanced training and experience as well as their friendly personality, so we know you’ll learn to love them starting at your very first visit! Read on below to start getting to know our fantastic team. 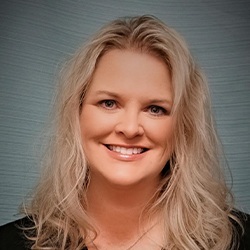 Krista is the dental office manager of both Powell Dental Sleep Solutions and Powell Dental Group. 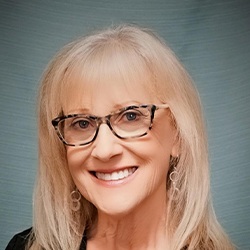 She is an accomplished dental assistant and is Ohio’s Local Chapter President and Fellow of the American Association of Dental Office Managers. Krista attended Columbus State Community College followed by 20 years of assisting and office management in dentistry. She is married to Chris, is raising a teenager and two young twins. They reside in Delaware, Oho. Krista enjoys family time, crafting, essential oils, cooking, gardening. She is passionate about inspiring dental management and personnel with insightful solutions for their professional practices. She is compassionate, dedicated, dependable, knowledgeable, and patient-centered. Her kindness is heart-warming and her determination to uphold excellence in your dental sleep apnea experience is her passion. 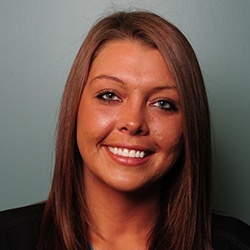 Cortney is the lead patient care coordinator for both Powell Dental Sleep Solutions and Powell Dental Group. She owns the cheery voice that you speak with on the phone, the smiling face that coordinates your journey, and the amazing photographic memory that can recall most any detail. Cortney has worked in the dental field over the past 5 years and has experience as an administrative assistant and dental assistant. Her attention to detail is astounding. Cortney has twin sisters and they all grew up in Sunbery, Ohio. Cortney’s boyfriend “Patrick” and their dog child “Cole” love exploring the outdoors and water. She especially loves travel and spending time with friends and family. Her happy spirit and knowledgeable background will comfort you knowing that she is anxious to provide you with exceptional service. Mallory was born and raised in Grove City, Ohio with two brothers. She studied at Columbus State Community College, pursuing an Associate of Arts. She developed an interest in dentistry and was trained as a dental assistant and later as an administrative assistant treatment coordinator. 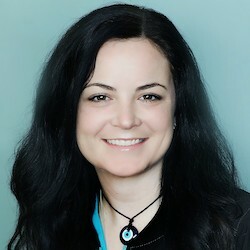 She has over 10 years of experience in the dental field. Mallory loves to babysit her toddler niece Darby. Her hobbies include reading mysteries, going to concerts and music festivals with friends, boating, jet skiing, and water sports, especially at Indian Lake. 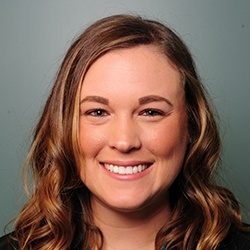 Mallory is detail oriented and proactive in determining insurance eligibility prior to your appointment so that there are no insurance surprises on the day of your service. She is a great asset to our practice and will assist you in all aspects of the administrative or scheduling process that you may have. Brentley has served as a certified dental assistant in general dentistry and dental sleep medicine for the past 5 years. She graduated from Hayes High School in 2009 and is attending The Ohio State University as a pre-dental student. Her hometown is Delaware, Ohio where she is a mother to two beautiful girls. Brentley enjoys watching her children play sports, hanging out with friends and family, and studying with future aspirations of becoming a dentist. She is well known for her bright and cheery disposition, always lending a helpful hand, and shares contagious laughter that will put a smile on your face! 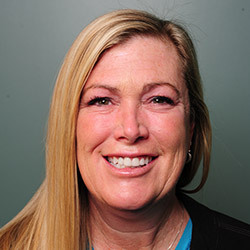 Bonnie has practiced as a dental assistant since 2008. She grew up in New jersey and attended Morris Community College where she studied accounting. Family life relocated her to Westerville, Ohio where she has three grown children and one grandson. Bonnie's interests include mountain biking, painting, drawing, and most any other art form. Bonnie is excited to be expanding her knowledge base as she enters into the field of dental sleep medicine. Her kind, heartwarming smile is genuine and she will make your comfortable during each appointment. Marcia has worked for Dr. Shelley during periods of rapid business growth and is able to have flexible working hours since she is also a full-time realtor. She previously owned a retail wedding business with 7 franchises, was an award winning wedding photographer, additionally owning a wedding gown manufacturing company for 35 years. Marcia is very creative and is an amazing florist, photographer, and cake decorator. Her decades of self-employed retail business taught her exemplary organizational skills, attention to detail, and excellence in customer service. She has one daughter, Jena, who is a dental hygienist. Marcia’s outside interest donates time to animal rescue organizations. An interesting fact is that many people often think that Marcia and Dr. Shelley are identical twins but they’re actually sisters that are two years difference in age. They do enjoy teasing people with their resemblances.